Area Sosta Libera Vicino alla diga e fronte ristorante per piccoli van. 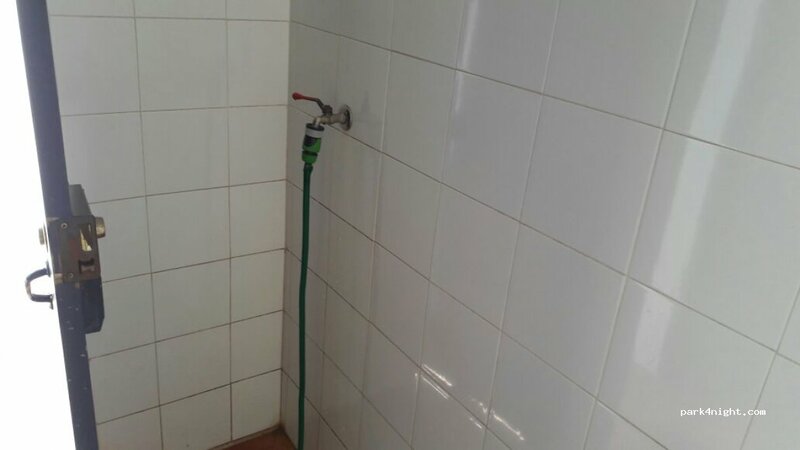 Bagni pubblici con docce calde gratis e possibilità di CS (rubinetto per carico acqua nel bagno dele donne). In mezzo alla natura, notte super tranquilla, bar/ristoro tipico portoghese. Très bel endroit au calme idéal pour une nuit. Best place we have visited this vacation... free hot shower. Toilet WITH toilet paper! Stars in the sky lake nearby, really good area for a walk. A lot of animals, birds, butterflies, reptiles, we love it! We wanted to stay 1 night but we stayed 2 nights because of the environment!!! Free hot showers ! 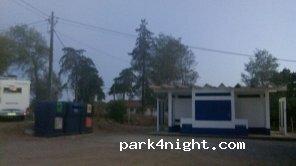 amazing to have hot showers and public toilets just up the road from the parking near the restaurant. 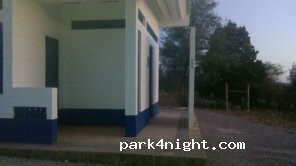 The toilets were very clean and had toilet paper, hand towels and soap. The restaurant was nice with cheap beer but their internet is not great and there is hardly any service in the area. There’s recycling and bins also and a tap for water. It’s very secluded but with many campers on the weekend. 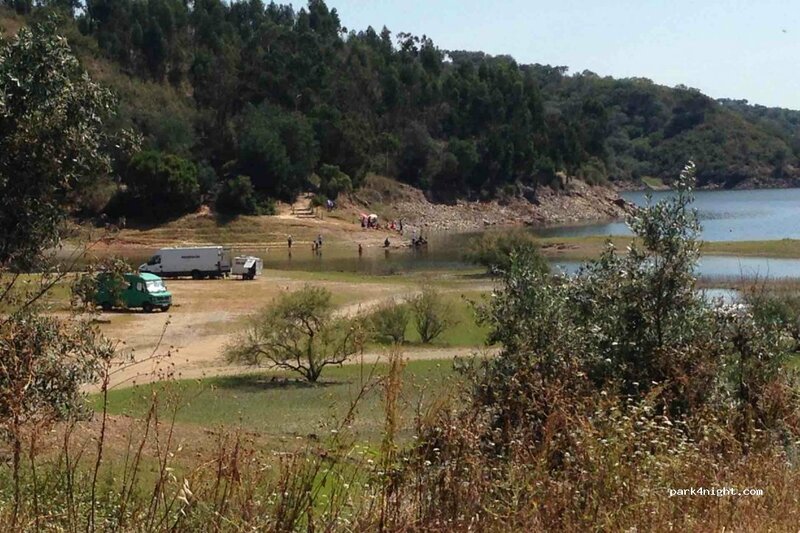 There are some walks round the hillside and the lake by the dam. Stayed 3 nights. Pasamos una tarde de sol escuchando sólo el silencio. Muy tranquilo. No nos quedamos a pernoctar. Die heiße Dusche ist top und auch die Toiletten sind gepflegt (inklusive Seife, Klopapier und Handtüchern!). Ein paar Meter weiter, unten am See, übernachten einige Wohnmobile und Vans. Es ist aber auch genug Platz für alle. Die Nacht war ruhig und der Sternenhimmel gigantisch. Es gibt einige Stechmücken (in der Dusche warten sie auf nackte Haut), was an einem See aber recht normal ist. Gestört hat uns der starke Kläranlagen/Güllegeruch am Morgen, den man schwer ignorieren konnte. Deshalb sind wir schnell wieder aufgebrochen. Ansonsten ist es durch die Sanitäranlagen beinahe ein Gratis Campingplatz. 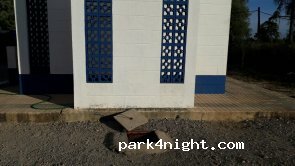 Ce n’est pas une aire de camping-car, c’est juste un parking avec des toilettes à côté du restaurant. Very nice and quiet place. Hot shower for free, toilets. Nice restaurant. Stayed 2 weeks. Love the place and the Milky Way at night. Did not like the musquitos. Einfach nur wunderschön ruhig und man hat alles was man für ein paar Tage braucht. Der nächste Lidl und Intermarche ist ca. 15 min entfernt. Der See war eine tolle Abkühlung bei über 30 Grad. Ottimo posto dove passare una giornata tranquilla e una notte tranquillissima. Frequentato da altri camperesti si sta in ottima compagnia! Servizi gratuiti comprese docce calde, CS. Grazie Portogallo! Second time I have been here. Really nice lake, now the water was very high but two years ago in august it was really low and I could park down the hill. Free hot shower, perfect after weeks of cold showers! Endroit très calme, WC et douches disponibles et très propres. Restaurant sur place. Great quite stop for motorhome. We had a quite night only frog sounds. Walking trails beside lake but all blocked off. Free hot showers and toilets which were very clean. 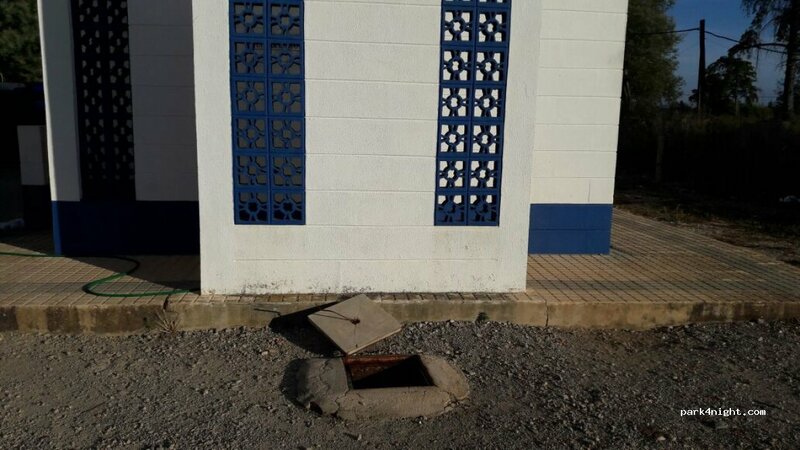 Drain for black waste but tap is in ladies toilets and no drive over drain for grey waste. There is a sign on the men's toilet door that the water is non potable. We did not fill up as we drink our fresh tank water. Free hot shower! also restaurant with very good prices and free WiFi! dumping point, water tap, and garbage and recycling point! everything you need for free! O nome é "Barragem Pêgo do Altar"
Décevant, le resto était fermé. Les deux places proches des douches-toilettes étaient prises et il n'y avait presque plus d'eau dans le lac..! Le stationnement est 150 m plus bas au bord du lac. 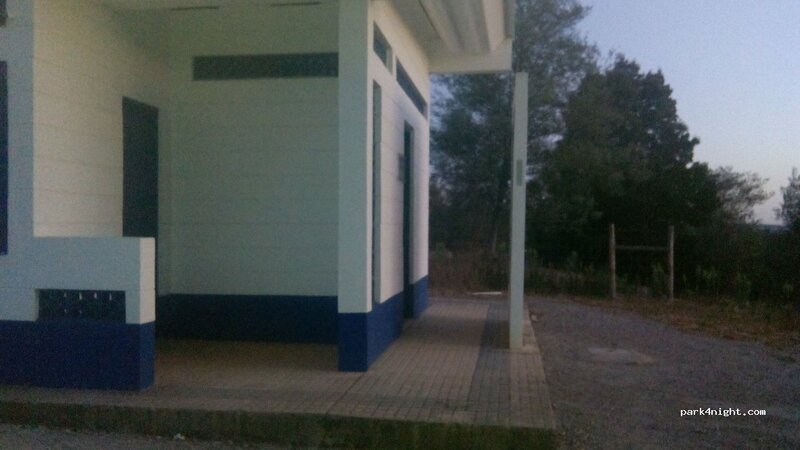 Bon point : les toilettes sont propres et l'eau est chaude dans la douche. Nuit très tranquille...! juste une nuit. Emplacement très sympa et très calme. Services à proximité et restaurant au bord du plan d’eau. Face à un plan d'eau, l'aire de stationnement est très agréable. J'y suis et j'espère y retourner à mon prochain voyage. Super spot, mais ne nous sommes restés qu'une seule nuit, en cause la multitude de groupes électrogène en route. Merci les camping-caristes sans-gênes ! Great stop in the middle of nowhere but nice view over the reservoir if you can get a spot. Alcacer do sal lovely town to visit nearby and awesome walks. Very quiet and the night sky outstanding ! Note : we are a very large motorhome and we took up most of the road down to it but luckily no motorhomes came the other way ! Super bien. Très calme. Douche chaude avec pression régulière, l'ensemble du coin sanitaire est propre. Petit resto l'accueil est très sympa. Repas plus que correct pour un prix raisonnable. Faire juste attention aux moustiques.